An under-reported trend in storage these days is the mounting dissatisfaction with server-centric storage infrastructure as conceived by proprietary server hypervisor vendors and implemented as exclusive software-defined storage stacks. A few years ago, the hypervisor vendors seized on consumer anger around overpriced “value-add” storage arrays to insert a “new” modality of storage, so-called software-defined storage, into the IT lexicon. Touted as a solution for everything that ailed storage – and as a way to improve virtual machine performance in the process – SDS and hyper-converged infrastructure did rather well in the market. However, the downside of creating silo’ed storage behind server hosts was that storage efficiency declined by 10 percent or more on an enterprise-wide basis; companies were realizing less bang for the buck with software-defined storage than with the enterprise storage platforms they were replacing. This article is intended to introduce you to the main concepts and features of Fibre Channel (FC), the high-speed network technology and a relevant family of standards (protocols) for storage networking that was standardized in 1994. Personally I have been very successful at providing good backup designs for Hyper-V in both small to larger environments using budgets that range in between “make due” to “well-funded”. How does one achieve this? Two factors. The first factor is knowing the strengths and limitations of the various Hyper-V versions when you design the backup solution. 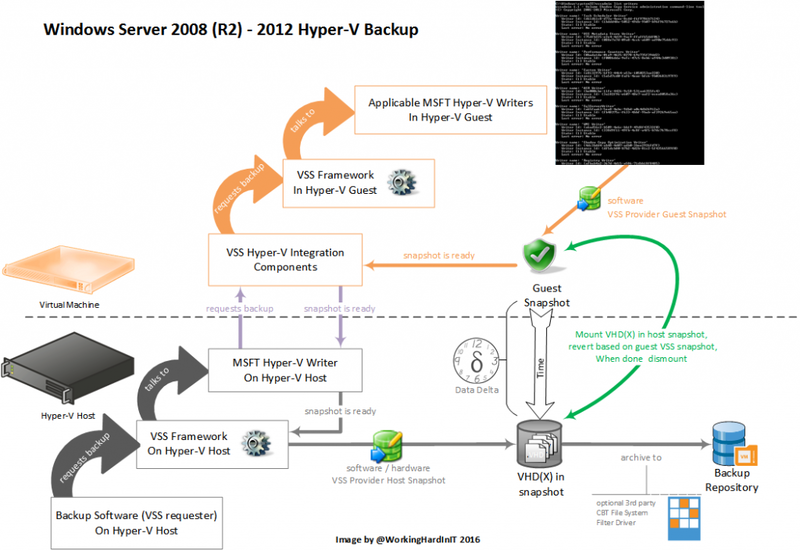 Bar the ever better scalability, performance and capabilities with each new version of Hyper-V, the improvements in back up from 2012 to 2012 R2 for example were a prime motivator to upgrade. The second factor of success is due to the fact that I demand a mandate and control over the infrastructure stack to do so. In many case you are not that lucky and can’t change much in already existing environments. Sometimes not even in new environments when the gear, solutions have already been chosen, purchased and the design is deployed before you get involved. Windows Server 2016 will be released the next month said Microsoft the last month. Windows Server 2016 brings a lot of new features compared to the last Windows Server version for Hyper-V, networking and storage. In this topic I will try to convince you to move from prior Windows Server edition to Windows Server 2016 with eight reasons. Many of you have heard of Virtual Volumes (VVols) storage technology, which allows essential increasing of storage I/O performance within VMware vSphere environment by using logical volumes for certain virtual machines components and transferring of some storage operations to disk arrays.